The AIMA3000 platform is PBN’s newly developed high-density, lowpower consumption headend platform that enables MSOs to build or upgrade their networks to meet the demands of today as well as future multi-services access requirements. 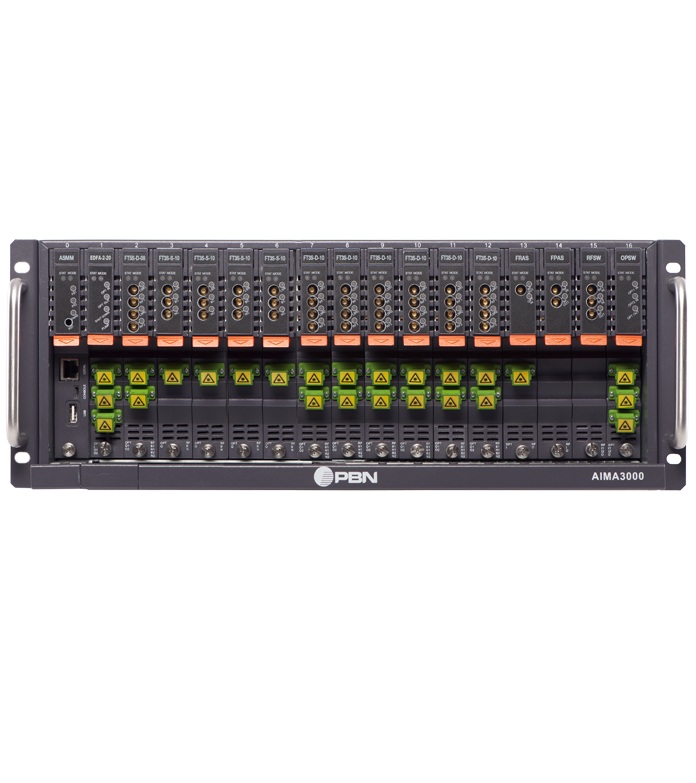 The AIMA3000 simplifies the transition to IP Networks by providing a complete range of intelligent, interoperable, RF and optical modules for HFC, RFoG, PON video overlay, and other applications. 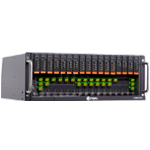 The design employs a 19” rack of 4RU height, with 17 slots for highdensity application modules and integrated front and rear fiberaccess panel for easy fiber management. Slot 0 is used for a System Management Module (ASMM). 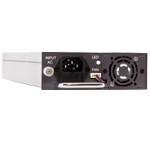 In total, one 4RU AIMA3000 chassis allows for configurations of up to 64 forward-path laser transmitters or 64 return path receivers. Module slots 17 slots for AIMA3000 plug-and-play modules. 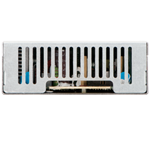 Slot 0 is used for the System Management Module (ASMM). Slots 1~16 are used for any of the Application Modules. Requires an ASMM module in slot 0. Alarms are available via SNMP traps to multiple destinations, via a voltage-free NO/NC alarm contact, via SNMP polling, via HTTP polling, or via HTTP polling. 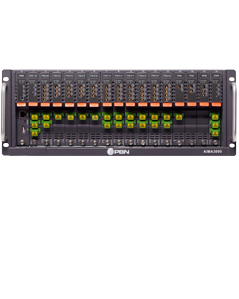 The chassis can also be controlled through a web browser connected to one of the Ethernet ports or by a mobile device supporting USB host mode through the USB port on the AIMA3000’s ASMM module. 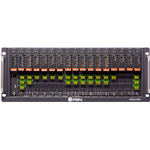 All module settings are retained in non-volatile memory to ensure trouble-free operation. 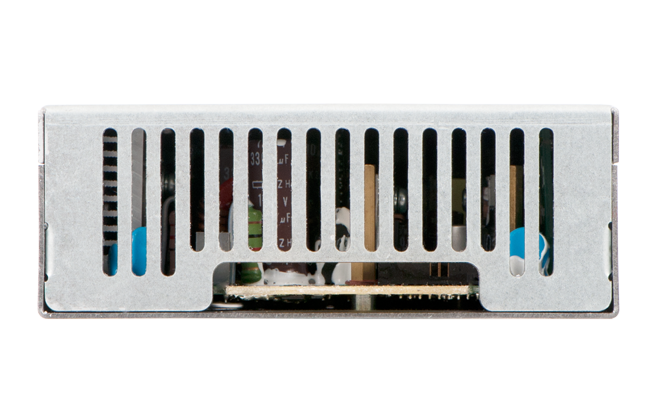 The chassis supports up to two hot-swappable power supply modules in the AIMA3000 chassis. Any one power supply can handle a fully loaded chassis. 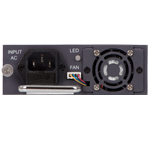 Two power supplies provide load sharing when more than 12 V / 10 A (120 W) is being consumed by modules, and redundancy in the event of a single power supply failure. Both universal mains (APSA) and battery (APSD) models are available. It is possible to use one mains module and one battery module in the same chassis. 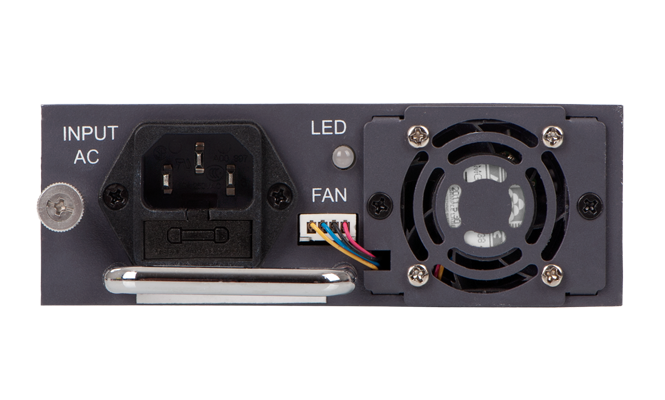 Cooling Integrated variable-speed cooling fan, with on-board microcontroller. Protection Overload (AC only), over-voltage(AC only), and temperature sensors. Load-share functions for +12 Vdc power rail. Cooling fans in the power supply units and the 8 fan modules mounted in the chassis. Multiple AIMA3000 chassis can be mounted on top of each other without ventilation space. (1) Up to 5 SNMPv2c trap addresses per ASMM. (2) Measured with 460 W APSA. The AIMA3000 is designed to seamlessly fit into all common service scenarios. 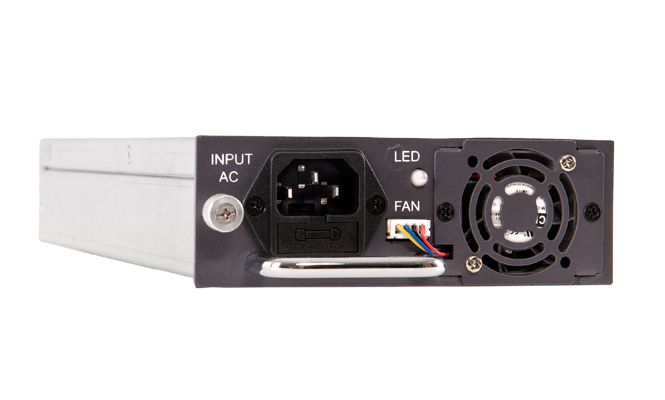 In a traditional headend deployment with optical transmitters and receivers, the AIMA3000 leads with lowest in industry per-port power consumption as well as having a highly dense amount of receiver ports. While FTTx technologies are making their way into traditional cable MSO networks, the AIMA3000 supports a range of RFoG modules such as the RRAG to ease the transition to full-blown PON/P2P. 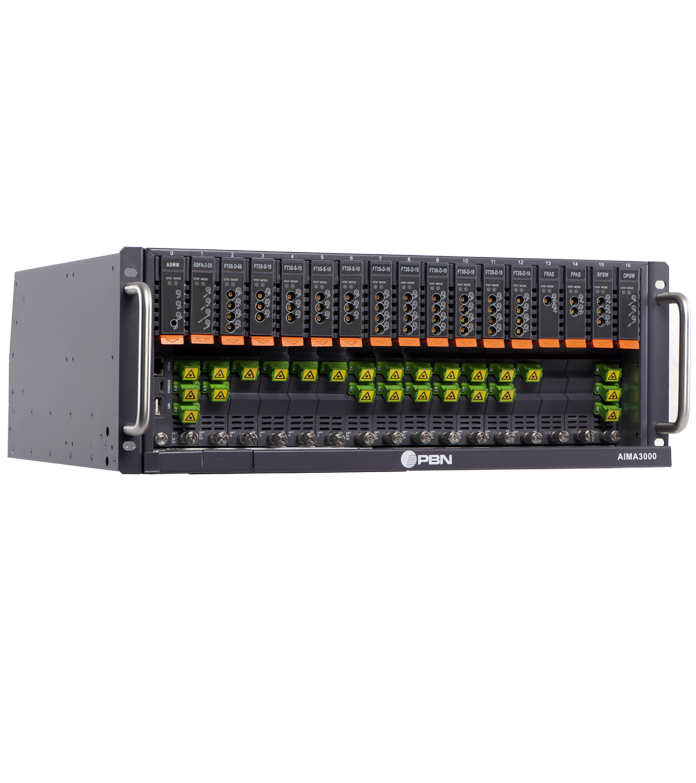 For networks with FTTx technologies already in place, delivering highspeed data and voice services, the AIMA3000 is geared to provide a full-spectrum CATV overlay using transmitters and EDFA modules. A wide variety of complementary modules such as externallymodulated transmitters, amplifiers, and switches meet the needs of even the most specialized and unique network architectures.